We build special units for the Landscaping, Building, and Lumber industries. We build Refrigerated and Dry Freight Truck bodies to your specifications. 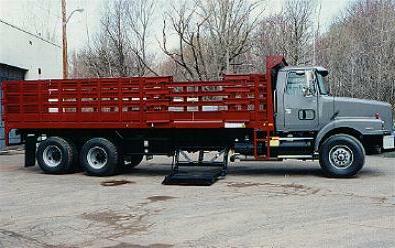 We operate a full service installation and repair shop for all makes of Trailers, Bodies, and Liftgates. We sell and install Hydraulic Liftgates and Hoists. We stock and sell parts for the Trailers and bodies that we sell. We also stock standard parts for repairing all other makes of Truck Bodies and Trailers. We will incorporate your ideas to make your unit user friendly! We will spend time with you! We install what we sell and we stand behind these products!